Hand painted mug features a cat with a bird seated on it's head. 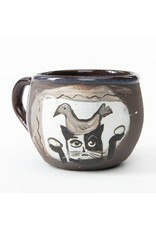 The cat's "arms" are held up at shoulder height, and the cat holds an egg in each hand. 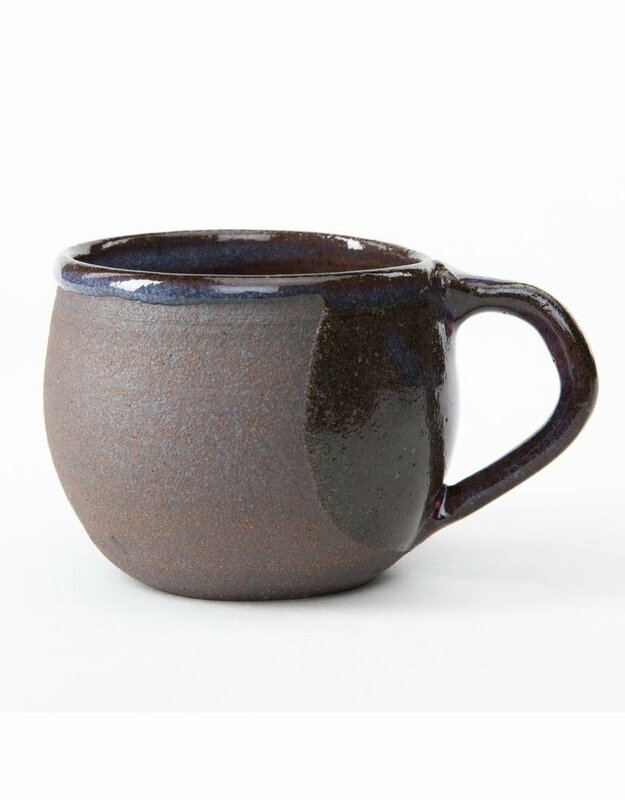 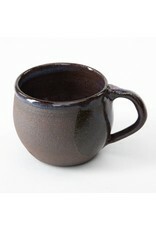 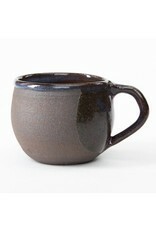 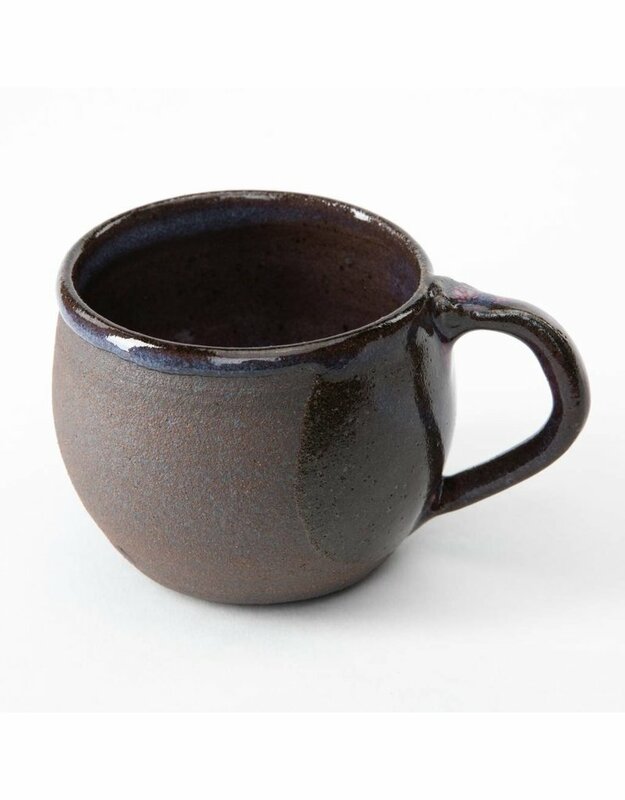 This hand made wheel-thrown mug is perfect for coffee, hot cocoa, tea or your beverage of choice. 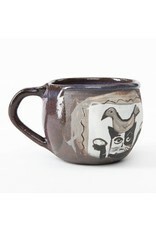 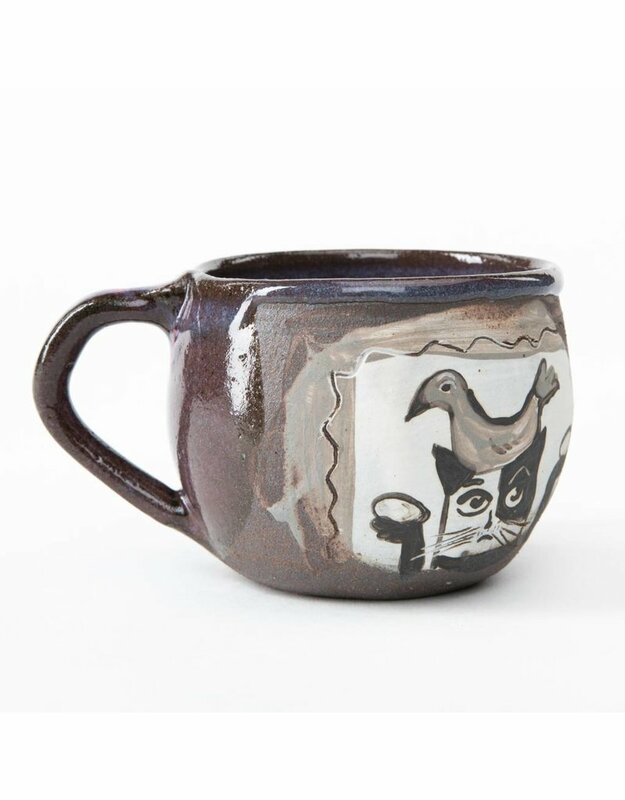 Each Lena Wolek mug is a unique work of art.